Seventeen songs on a double LP released in 1973 are not what fans of Gerry Goffin and Carole King's '60s pop would expect. Two recording studios in Muscle Shoals, AL, gave birth to this earthy and energetic statement. The comparison to Bob Dylan is inevitable, especially on "Reverend Bottom's Tojo Saloon," a five-minute-and-16-second party which sounds like Gerry is stuck inside of Mobile with the Memphis blues. But the tongue-in-cheek protest of "Cherokee Medicine" is much too quaint to be as boastful as Zimmerman, Al Lester's fiddle venturing off in its own direction as the song concludes. Longtime Carole King bassist Charles Larkey co-wrote the first tune, "Down on the Street," though he's not credited as a performer here. "Chicago (You)" has a funky barroom attitude with keyboard fills that supplement Goffin's lecture. "Chicago You" is a coded message that is hard to decipher, but fun just the same, making the title of this album rather misleading. It is very entertaining to hear the guy behind so many Top 40 hits laying back and jamming on tunes that are as short as the minute-and-21 second "Sail Away Ladies (P.D.)" to the 12-minute-31-second groove of "Set Job." There are revelations all over these four sides, a semi-gospel flavor on "Maryland Again" and Goffin sounding like a very drunk Ian Hunter in a setting that Ian has yet to visit. The musicianship sparkles with a carefree spirit -- it's not like any of these tunes are shooting for chart action. "The Last Cha Cha on Jackson Highway," co-written by Russ Titelman, Barry Goldberg, and Goffin, is like a great, lost Jimmy Buffet tune. "It's Not the Spotlight" is perhaps the most commercial and uplifting song on this collection, a beautiful chorus, the musicianship more serious and precise. Things fall apart in a good way with the George Harrison-sounding guitar bursts that evolve into "It's Alright to Be Alive." Just when you think it is going to become Beatlesque, it dissolves into a boogie-woogie celebration. "Sister Henry," the second of the two Titelman/Goldberg/Goffin compositions, is a Rolling Stones-gone-country-flavored chorus. 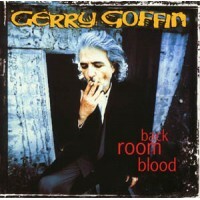 Gerry replaces the Dylan sounds with the folksy, preachy "Honorable Peace," a protest song. "Rainy Day Flying" continues the sentiment -- Arlo Guthrie take note -- as the backing vocalists keep a Dixie/gospel melody in the rhythm. Goffin raps about shrapnel exploding, very Vietnam. There is a tremendous chorus mixed with witty vocals to enhance "Zebulon Pike," the story of an explorer who keeps ending up in the wrong place. May be a subliminal autobiographical song with first-rate production and a band that works hard. This music really is a treasure worth seeking out. 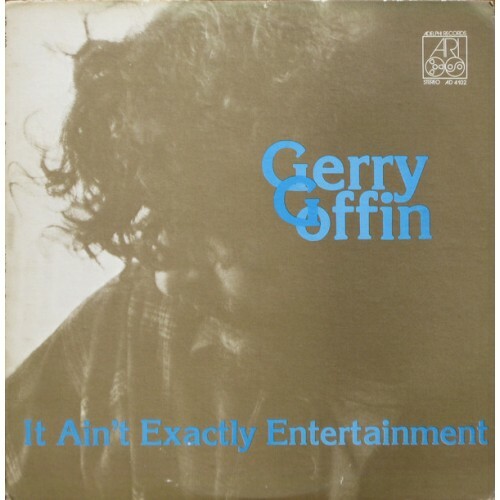 Gerald Goffin (February 11, 1939 – June 19, 2014) was an American lyricist. Writing initially with his wife Carole King, he co-wrote many international pop hits of the early and mid-1960s, including the US No.1 hits "Will You Love Me Tomorrow", "Take Good Care of My Baby", "The Loco-Motion", and "Go Away Little Girl". It was later said of Goffin that his gift was "to find words that expressed what many young people were feeling but were unable to articulate." After he and King divorced, Goffin wrote with other composers, including Barry Goldberg and Michael Masser, with whom he wrote "Theme from Mahogany (Do You Know Where You're Going To)" and "Saving All My Love for You", also No.1 hits. During his career Goffin penned over 114 Billboard Hot 100 hits, including eight chart-toppers, and 72 UK hits. He was inducted into the Rock and Roll Hall of Fame in 1990, with Carole King. Availability: Amazon and iTunes Only.